New Orleans has long been dependent on its majestic river. The banks of the Mississippi River have served many purposes throughout the city’s history and are now poised to play a crucial new role. 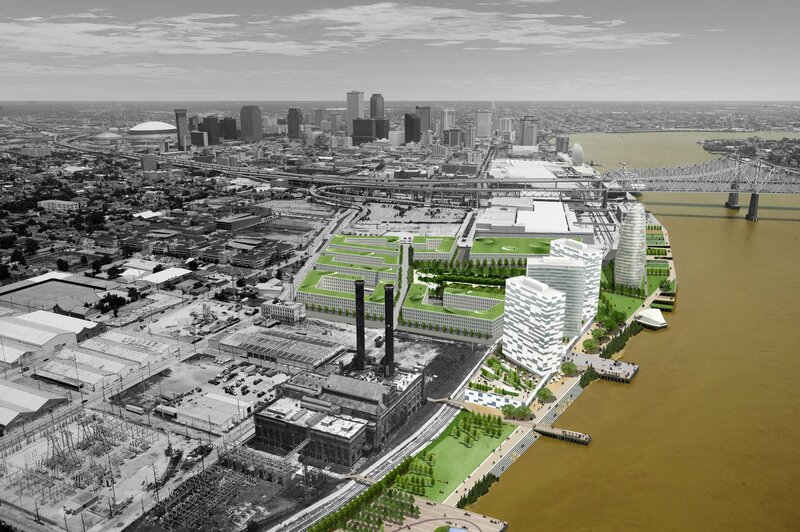 The city’s economy has suffered the slow loss of maritime activity due to port consolidation and sudden, comprehensive loss of civic stability due to Hurricane Katrina in 2005. 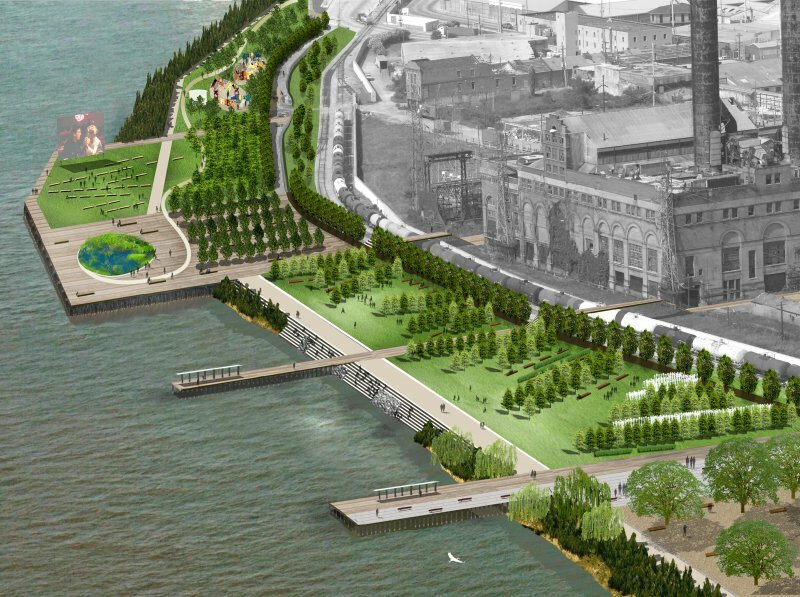 Paradoxically, the hurricane heightened public understanding that the riverfront is in fact the “high ground” and ripe for possible redevelopment. 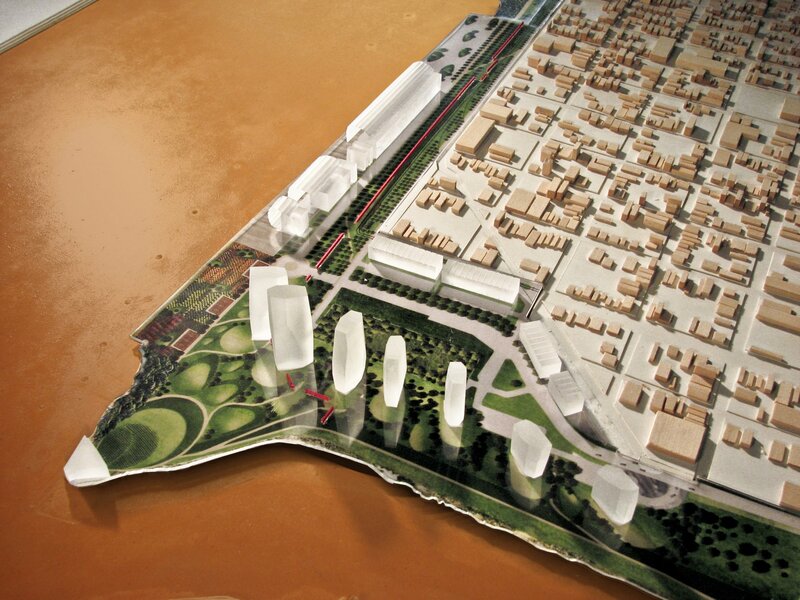 As such, the Reinventing the Crescent Development Plan calls for the East Bank of the city’s central riverfront to accommodate a continuous sequence of open spaces, and along this sequence establish 15 special environments for civic enjoyment.